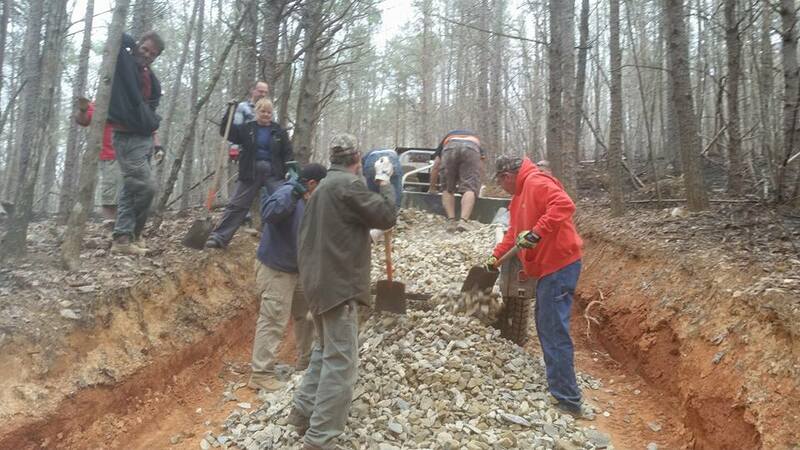 If you can make the time to help out this weekend come join fellow SFWDA members and prospects at the Uwharrie National Forest our upcoming Volunteer Work Day led by District Recreation Staff Supervisor; Theresa Stevens Savery (Terry). This Saturday & Sunday, March 19 & 20th we’ll be doing a lot of work and the more help we get the more we can complete. We’re going to have several teams doing signs, armoring trails with rock, brushing back the trails, picking up trash, installing guardrail & spreading straw. We’ll be meeting on Saturday and Sunday at the Badin Lake Group Camp at 9 am. We’ll need everyone that is going to be volunteering to sign in at this location. We will have a map and the direction for the different teams typed up for everyone to hand out when we meet up on Saturday & Sunday. If you’re planning to take your vehicles onto the trails then you must meet us at the Badin Lake Group Camp at 9 am and get signed in and to get a special pass so we know who’s volunteering & can be on the trails. Free camping has been set up for volunteers from Friday, March 18th to Sunday, March 20th at Badin Lake Group Camp at all 3 campsites. If you want to come in and set up on the Friday night so you won’t be late on Saturday morning that is ok. Please coordinate with any folks that are already set up and try to minimize the amount of space you take up so we can maximize how many campers and vehicles can get into the group camp. Please be respectful of all of the volunteers and their families that will be camping there and don’t get too rowdy at the campground. Thanks a lot. The different type teams are listed below with the general tools they will need for their task that you could bring. If you’ve already been assigned a team by Darin then please bring what is listed for your team and what he has already asked you to bring. If you haven’t been assigned a team yet but have several of the types of tools listed below please bring an assortment of these tools so you’d be prepared for whichever team you’re on. Straw team: Rakes, gloves, scissors or small knife, wear long sleeves and pants, sunglasses or safety glasses, a bandana, & closed toe shoes (no sandals or flip flops). 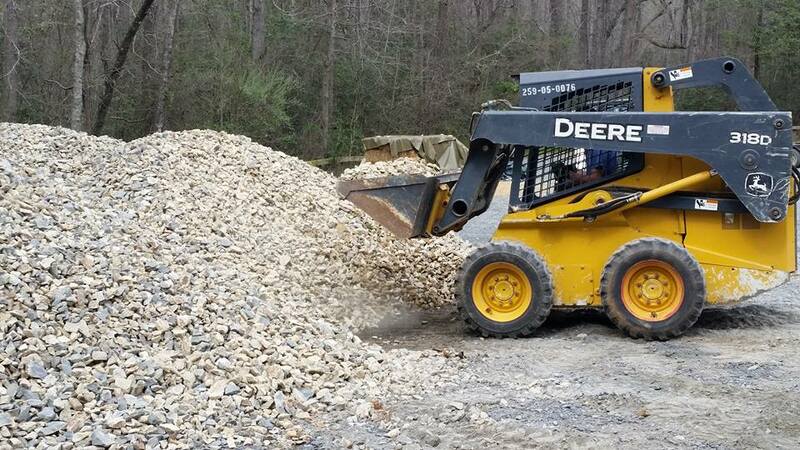 Rock team: Shovels, buckets, trailers or pick-up trucks that can go on the trails, gloves, heavy duty rakes, sunglasses or safety glasses, & closed toe shoes or work boots (no sandals or flip flops). 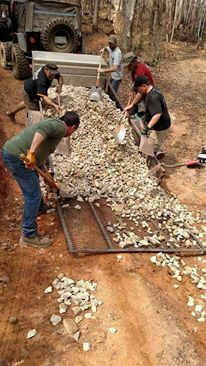 Railing team: Sledge Hammers, Post Hole Diggers, Gloves, 1 1/4half inch drive sockets, 1 1/8 half inch drive sockets, Rock bars, shovels, ear plugs, Pneumatic Drill, sunglasses or safety glasses, & closed toe shoes or work boots (no sandals or flip flops). Brush team: Pole Saws, Hand loppers, Brush cutters, pruners, gloves, sunglasses or safety glasses, bug spray, after bite ointment, ethanol free fuel/oil/bar oil, wear long sleeves & pants, & closed toe shoes or work boots (no sandals or flip flops). Sign team: Hammers, small step stool/ladders, pruners or loppers to clear around signs, sunglasses or safety glasses & closed toe shoes or work boots (no sandals or flip flops). Trash team: Gloves, trash pick-up tools & closed toe shoes or work boots (no sandals or flip flops). Loading team: Heavy equipment, fuel, safety gear, gloves, sunglasses or safety glasses. Barn team: Skill saw, drill, Phillips drill bit, 1 1/4 in wood screws, 3 door hinges, 4 4x6 sheets of plywood, Phillips head screwdrivers, chisel, shims. Bring water and food for during the day on Saturday & Sunday when you’re out on the trails. If you’re bringing kids out with you please make sure to have appropriate shoes for them & if you have work gloves for your kids already please bring them. Make sure they’re dressed appropriately for being out all day on the trails picking up trash, cutting brush, etc. for whatever team they are on. This is part of a long term on-going project where each month folks from around the area put forth volunteer time to maintain the trails inside of our national Forest. Helicopter Rides provided and sponsored by JAARS. Yes! The helicopter is back and we excited to be offering this wonderful view from above of the Uwharrie National Forest, Lakes and River! 4WD rides provided and sponsored by JAARS “The JAARS 4WD rides are something you do not want to miss!” They will take place on a 200 Acre piece of private property specifically designed for Off-Road Driver Instruction located just a half a mile away. More will be added from JAARS this spring! “UORTC uses this trail system for their 4WD-101 and 202 classes!” 4WD Club Booth’s, USFS Booth, TREAD Lightly! Booth and RTI Ramp. BRC- Land Use Update "NORTH CAROLINA - Forest Service to Host Trail Strategy Meeting"
The National Forests in North Carolina have announced that they will host a workshop on September 18, 2014, to address management of non-motorized and motorized recreation trails across the Uwharrie National Forest. The meeting will be held 6:00 p.m. - 8:00 p.m. at the Garner Center, 210 Burnette St., Troy, North Carolina. The Uwharrie OHV Jamboree is in its third year. The Jamboree focuses on the off-road: Jeep, 4WD, Dirt Bike, ATV and ROV (Recreational Off-Highway Vehicle)/Side by Side crowd in Central North Carolina.